Branded gifts are a win-win – most folks are flattered to receive a gift, and it’s a great way to get your brand out there. Many companies tend to focus on giveaways and gifts for customers, but employees can be some of your most loyal mouthpieces – and in some cases, lifelong customers, too. They’ve got a firsthand inside scoop on your company. If it’s a great place to work, trust and believe they’ll be more than happy to let friends and family know about what the company is up to, and what it offers to the public. Employee branded gifts can and should be given throughout the year, not just in December. After all, employees work tirelessly year-round. A small, thoughtful gift every few months is a great way to let them know that you not only notice all the hard work, but really are grateful for it. But perhaps the most favorable perk of employee gift-giving is that it can improve productivity: The elusive albatross every company is always after, no matter how good their numbers are. The workplace may not be a race, but speed still matters. As workloads increase, folks are often left struggling to fit everything they need to do in a single day. When they can’t keep up, it’s not only frustrating, but can actually be demoralizing. Mobile keyboards — Typing on phones and iPads can be slooooow (not to mention rife with typos). 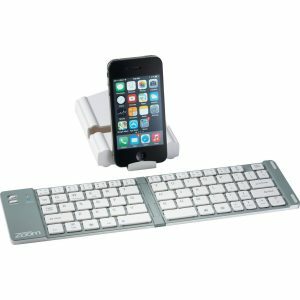 A mobile keyboard is a great way to speed things up, especially when employees are traveling or constantly on-the-go. Portable chargers — Nothing stalls productivity quicker than a dead battery or phone. Ensure your employees can always plug in with the gift of a portable charger, which allows them to charge up anytime, anywhere. Mints and gum – Known to stimulate the brain, popping a mint or chewing a stick of gum can help to improve alertness, memory, and attention spans. Keep a few bowls around the office so your employees can help themselves throughout the day to avoid the midday slump. The adage “work smarter, not harder” can be quite helpful in the workplace. After all, you don’t want your employees over-extending themselves daily to fulfill their to-do list. Instead, help them work smarter by gifting them items to stay better organized and on top of their game. Custom planners – Organizational tools like these are a fantastic way to keep employees on track. Staff can lay out their tasks in a multitude of ways: daily, weekly, and even monthly. Planners also offer them space for creativity and brainstorming, as well as encourage activities like goal setting to help rise to the expectations of their current role. Laptop sleeves and briefcases – Gifting your employees branded protective gear is an easy way to pad electronics against the wear and tear that comes with commuting and travel. Not only does it extend the longevity of devices, but it also encourages staff to take their work with them, minimizing time lost that could have been spent on deliverables. Workshops and classes – The gift of knowledge will last longer than any physical item you can give an employee. Bring in experts for workshops or have your department or team sign up for an online course that they can participate in together. Countless studies question whether the advent of the Internet is causing our attention spans to shrink. It might not be all bad news, but employees’ ability to maintain focus the entire workday remains a concern for many corporations. On-site yoga or medication classes – Consider bringing in a yoga instructor or guided meditation expert once a week/month to help reset busy minds. Staff will relish in the opportunity for some self-care mid-workday, and you’ll reap the benefits of centered minds. Build excitement around the class by gifting branded yoga mats, yoga pants or water bottles – convenient items that can be used to enhance the experience. Computer glasses — Most professionals spend eight+ hours in front of a computer screen for work. Eye strain, red eyes, and blurry vision are all common side effects of this. Lots of folks swear by glasses designed to counter these effects, which can literally hinder focus and dampen productivity. Coffee mugs – Mugs are a staple in any office, because, hello, caffeine. There’s almost nothing like an afternoon coffee pick-me-up to help folks refresh and refocus for the second half of the workday. Take coffee breaks up a notch with branded insulated mugs, perfect for keeping coffee hot for hours. Employee turnover is painful. It’s expensive, time-consuming, and a drain on productivity, which is why companies are so keen to build employee loyalty. Employee loyalty helps cultivate an environment that makes people want to be there. Loyalty also increases productivity, efficiency, and generally makes the office a more pleasant place to be. Fleece jackets – Offices are notorious for always being cold, no matter the temperatures outside. 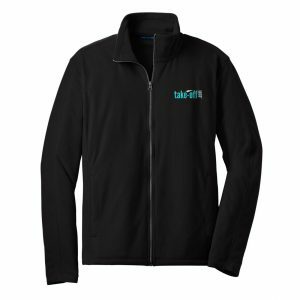 Gift a branded fleece to help employees stay warm year-round. They’ll appreciate the thought – and how it stops the shivers. Awards – People like to be recognized for their efforts, and employees are no exception. Your business might consider ways to regularly and publicly commend staff for a job well done to improve sentiment and light a fire under the rest of the team. An easy way to acknowledge individuals is with custom plaques, awards, or trophies. Food – There’s something about free food in the workplace that creates a buzz around the office. Key into that by gifting employees snacks, like chocolate, popcorn, cheese and crackers, and more. These little snack breaks are a great way to build comradery and really connect with team members, as they leave behind the stress of projects and meetings for a few minutes. Giving employees the opportunity to create emotional connections in the workplace will boost their appreciation, dedication, and love for the job. Now that you’ve got tips for faster, smarter, more focused and loyal employees, we offer our last bit of advice: how to present these gifts. Sure, you can always just leave them on an employee’s desk, but where’s the fun in that? Attaching a memory to the gift and presenting it in a professional way will make it that much more meaningful. Whether your company does an annual retreat or on-site, workday event, these respites from the daily grind offer the perfect opportunity to present employees with gifts. Consider earmarking some time during the retreat for an “awards ceremony”, a la the Oscars, to give employees their gifts. Superlatives like “Most Helpful Teammate,” “Always on Time,” “Idea Guru” all individualize key players and show them you notice all that they do. Easier still than an awards ceremony, all employees will be excited to receive a swag bag with generous branded products from the company. Small tokens of appreciation will tighten the bond between employer and employee, which lends itself to a more productive workforce. Remember how fun celebrating milestones was as a kid? Cake, balloons, gifts – all items designed to make it the best day ever. As adults, we rarely celebrate birthdays, let alone work anniversaries. 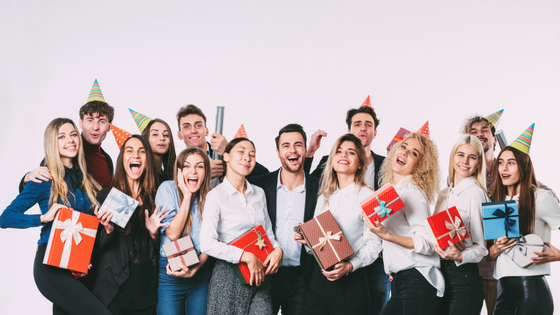 Presenting your employee with a gift on his or her birthday may be the only gift they receive that year – let that sink in for a minute, and you’ll quickly realize how significant it could be for someone. Work anniversaries hardly garner a “congrats,” unless it’s something big, like a 10-year milestone. But as a savvy employer, you know better than to wait until then! Taking the time to remember, acknowledge, and bestow a gift to an employee for these celebrations will make them feel like a million bucks, and proud to be part of your team. Whether annual or quarterly, reviews can be nerve wracking for even the best employee. While earning a stellar review can feel like a gift unto itself, receiving something for a job well done elevates the experience. It also gives employees a memento to commemorate his or her performance. A box of chocolates, fun new desk accessory or other corporate gift can serve as a reminder that you see how hard they’re working, and thank them for it. Every job has its busy season. These hectic times are usually unavoidable and can lead to skipped lunches, late hours, and chaotic days (and sometimes even weekends). They inevitably drain employees. 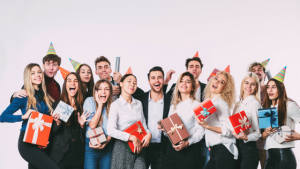 As their manager, keep the momentum going by gifting employees something midway through, or at the end of a project to celebrate all their hard work. By now, we hope we’ve pumped you with loads of ideas on what to gift employees, and how to do so, all for the sake of increasing productivity for your company. Remember, a little goes a long way – it doesn’t have to be cash, and it doesn’t have to be exclusively gifted during the holidays. Branded corporate gifts given throughout the year are a cost-effective way to keep employees motivated and engaged – and of course, productive! Call us now, the Promo-Know How People and we’ll work together to get you setup with employees gifts that are right for your business.